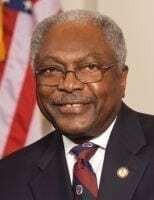 Today, U.S. House Majority Whip James E. Clyburn announced that South Carolina has received $3,891,198 in AmeriCorps funding from the Corporation for National and Community Service (CNCS), the federal agency responsible for AmeriCorps and other national service programs. The three grants will support Reading Partners South Carolina, City Year Columbia – FPG, and WINGS for Kids AmeriCorps Program. These grants will put an estimated 154 AmeriCorps members on the ground to tackle some of the toughest problems in South Carolina. Reading Partners provides one-on-one literacy tutoring for economically disadvantaged students across the Lowcountry region of South Carolina. City Year Columbia provides full-day academic and school engagement services to students in three public schools – providing educational services, implementing extended day activities and improving school climate. WINGS for Kids aims to equip at-risk students with the social and emotional skills to succeed and stay in school. The United Way Association of South Carolina will also receive $2,369,968 in non-competitive formula funding, which will in turn be awarded to South Carolina organizations to support additional AmeriCorps members in the coming months. The unique AmeriCorps model means that the grants announced today will leverage an additional $2,414,821 from the private sector, foundations, and other sources – further increasing the return on the federal investment. Every year, AmeriCorps play a critical role in the recovery of communities affected by disasters and help thousands of first-generation college students access higher education. They also tutor young people, connect veterans to jobs, care for seniors, reduce crime and revive cities, fight the opioid epidemic and meet other critical needs. CNCS will provide an additional $621,614 in Segal AmeriCorps Education Awards for the AmeriCorps members funded by these grants. After completing a full term of service, AmeriCorps members receive an award of approximately $6,000 that they can use to pay for college or to pay off student loans.